Edraw Flowchart Maker is een snel en sterk programma voor het maken van stroomdiagrammen. 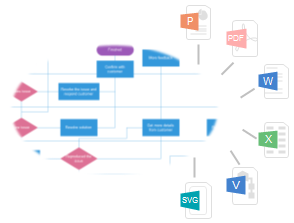 Ondersteunt stroomdiagrammen, organogrammen, zakelijke en hr-diagrammen, werkschema's, programmeerdiagrammen en netwerk ontwerpdiagrammen..
With this feature-rich flowchart software, you don't need to be an expert to create visually appealing flowcharts. Simply input your data and Edraw does the rest, aligning all things automatically and applying professional design themes for optimum drawings. This software empowers users of any level to create better flowcharts in less time. Moreover, it saves you a lot of money for the free technology support and upgrade. 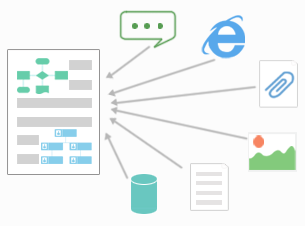 Edraw also helps to translate complicated information from text and tables into visual diagrams. 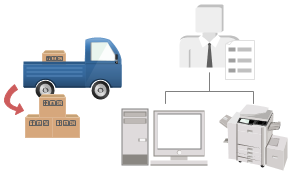 In this way, users can identify bottlenecks or inefficiencies where the process can be streamlined. It offers intelligent connectors and advanced text styling. Vector symbols are also provided, telling you what to do by showing floating dialogues. The features of inserting hyperlinks and clipart are also contained. 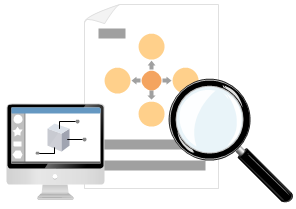 You can link diagrams to underlying data to present more detailed information, which advances productivity, impact and communication. To be more specific, you can effortlessly turn any diagram into a gateway of information by adding links to websites, attaching documents, adding annotations, or even linking it to other Edraw visuals. 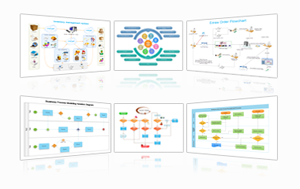 They are interactive infographics that anyone can create without any hassle.